While a lot of attention is often given to macronutrient balance, quantifying the vitamin and mineral sufficiency of our diet is typically done by guesswork. This article lists the foods that are highest in amino acids, vitamins, minerals or omega 3 refined to suit people with different goals (e.g. diabetes management, weight loss, therapeutic ketosis or a metabolically healthy athlete). I’ve spent some time lately analysing people’s food diaries, noting nutritional deficiencies, and suggesting specific foods to fill nutritional gaps while still being mindful of the capacity of the individual to process glucose based on their individual insulin sensitivity and pancreatic function. The output from nutritiondata.self.com below shows an example of the nutrient balance and protein quality analysis. In this instance the meal has plenty of protein but is lacking in vitamins and minerals, which is not uncommon for people who are trying to reduce their carbohydrates to minimise their blood glucose levels. The pink spokes of the nutrient balance plot on the left shows the vitamins while the white shows the minerals. On the right hand side the individual spokes of the protein quality score represent individual amino acids. I thought it would be useful to develop a ‘shortlist’ of foods to enable people to find foods with high levels of particular nutrients to fill in possible deficiencies while being mindful of their ability to deal with glucose. Previously I’ve developed short lists of nutrient dense foods also based on their insulin load or other parameters (see optimal foods lists). But what if we want to get more specific and find the optimal foods for a diabetic who is getting adequate protein but needs more vitamins or minerals? What about someone whose goal is nutritional ketosis who is trying to maximise their omega-3 fats to nurture their brain? To this end the next step is to develop more specific lists of nutrient dense foods in specific categories (i.e. omega-3, vitamins, minerals and amino acids) which can be tailored to individual carbohydrate tolerance levels. I’ve exported the top foods using each of the ranking criteria from the 8000 foods in the database. You can click on the ‘download’ link to open the .pdf to see the full list. Each .pdf file shows the relative weighting of the various components of the multi criteria ranking system. The top five are highlighted in the following discussion below. It’s worth noting that the ranking system is based on both nutrient density / calorie, and calorie density / weight. Considering nutrient density / calorie will preference low calorie density foods such as leafy veggies and herbs. Considering calorie density / weight tends to prioritise animal foods. Evenly balancing both parameters seems to be a logical approach. You’re probably not going to get your daily energy requirements from basil and parsley so you’ll realistically need to move down the list to the more calorie dense foods once you’ve eaten as much of the green leafy veggies as you can. The same also applies if some foods listed are not available in your area. This section looks at the most nutrient dense foods across all of the essential nutrients shown above. Consider including the weighting tables. Liver tops the list. This aligns with Matt Lalonde’s analysis of nutrient density as detailed in his AHS 2012 presentation. It certainly seems to be working for him. If you have no issue with obesity or insulin resistance then you’ll likely want to simply select foods at the top of the nutrient dense foods list. However most people will also benefit from considering their insulin load along with fibre and calorie density. 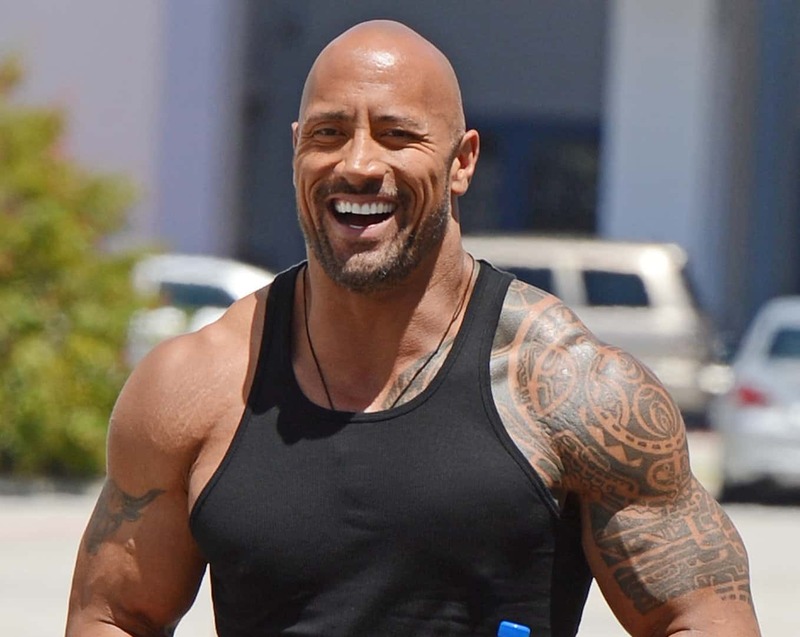 Most of us mere mortals aren’t as active or metabolically healthy as Dwayne. You’ll note that spices and herbs typically rank highly in a lot of these lists. The good news is that they typically have a very low calorie density, high nutrient density and are high in fibre. The challenge again is that it’s hard to get all your energy needs from herbs alone, so after you’ve included as many herbs and green leafy veggies as you can fit in, go further down the list to select other more calorie dense foods to meet your required intake. If you’re wondering what a winter melon looks like (like I was), here it is. The winter melon does well in this ranking because it is very fibrous, has a very low calorie density and a very low 8% insulinogenic calories which means that it has very few digestible carbohydrates. Again, basil does pretty well along with a range of nutrient dense herbs. Basil is more nutrient dense than the winter melon while still having a very low calorie density. Wax gourd does well again due to its high fibre and low calorie density; however if you’re looking for excellent nutrient density as well, then chia seeds and flax seeds may be better choices. When it comes to flax seeds are best eaten ‘fresh ground’ (in a bullet grinder) for digestibility and also freshness and that over consumption may be problematic when it comes to increasing estrogens. Good nutrition is about more than simply eating more fat. When you look at the top foods using this ranking you’ll see that you will need to use a little more discretion (e.g. avoiding vegetable oils, margarine and fortified products) due to the fact that nutrients and fibre have such a low ranking. Omega-3 fats are important and most of us generally don’t get enough, but rather get too many omega-6 fats from grain based processed foods. The foods highlighted in the following section will help you get more omega-3 to correct the balance. I like salmon, but it’s not cheap. I find sardines are still pretty amazing but much more cost effective. If you’re going to pay for salmon to get omega 3 fatty acids then you should make sure it’s wild caught to avoid the omega 6 oils and antibiotics in the grain fed farmed salmon. Sardines have a very high nutrient density but still not as much omega 3 fatty (i.e. 1480mg per 100g for sardines versus 2586mg per 100g for salmon). It’s interesting to see that there are also excellent vegetarian sources of omega-3 fatty acids such as marjoram (pictured below) and chia seeds (though some may argue that the bio-availability of the omega 3 in the salmon is better than the plant products). While seafood is expensive, brain is cheap, though a little higher on the gross factor. Cancer survivor Andrew Scarborough tries to maximise omega 3 fatty acids to keep his brain tumour and epilepsy at bay and makes sure he eats as much brain as he can. This section will be of interest to people trying to build muscle by highlighting the foods highest in amino acids. So what are the best sources of protein, regardless of insulin load? Again, Dwayne Johnson’s cod does well, but so does the humble egg, either the whites or the whole thing. We have been told to limit egg consumption over the last few decades, but now, in case you didn’t get the memo, saturated fat is no longer a nutrient of concern so they’re OK again. And while egg whites do well if you’re only looking for amino acids, however if you are also chasing vitamins, minerals and good fats I’d prefer to eat the whole egg. The bratwurst sausage does really well in the nutrition analysis because it is nutrient dense both in amino acids and high fat which keeps the insulin load down. People focusing on reducing their carbohydrate load will sometimes neglect vitamins and minerals, especially if they are counting total carbs rather than net carbs which can lead to neglecting veggies. I think most people should be trying to increase the levels of indigestible fibre as it decreases the insulin load of their diet,  feeds good gut bacteria, leaves you feeling fuller for longer and generally comes packaged with heaps of good vitamins and minerals. At the same time it is true that some high fibre foods also come with digestible carbohydrates which may not be desirable for someone who is trying to manage the insulin load of their diet. The foods listed in this section will enable you to increase your vitamins while managing the insulin load of your diet to suit your goals. Peppers (or capsicums as they’re called in Australia) are great in omelettes. Liver is also very high in vitamins if you just can’t tolerate veggies. It’s interesting to see so many spices ranking so highly in these lists. Not only are they nutrient dense but they also make the foods taste better and are more satisfying. Good food doesn’t have to taste bland! It will be very challenging to eat too many calories with these foods. We find spinach to be pretty versatile whether it is in a salad or an omelette. Most green leafy veggies will be great for people with diabetes as well as providing excellent nutrient density and heaps of fibre. Ever wondered which real whole foods would give you the most minerals per calorie without resorting to supplements? Even if you found a vitamin and mineral supplement that ticked off on all the essential nutrients there’s no guarantee that they will be absorbed by your body, or that you’re not missing a nutrient that is not currently deemed ‘essential’. Real foods will always trump supplements! As you look down these lists you may notice that herbs and spices top the list of foods that have a lot of minerals. Once you have eaten as much coriander, basil, parsley and spearmint as you can and still feel hungry keep doing down the list and you will find more calorie dense foods such as spinach, eggs, sunflower seeds, and sesame seeds etc which are more common and easier to fill up on. Wheat bran (crude) features in this list but it’s very rarely eaten in this natural state. Most of the value is lost when you remove the husk from the wheat. As much as we’re told that we shouldn’t eliminate whole food groups, grain based products just don’t rate well when you prioritise foods in terms of nutrient density. So what does all this mean and how can we apply it? I don’t think it’s necessary or ideal to track your food all the time, however it’s well worth taking a typical day of food and entering it into the recipe builder at nutritiondata.self.com to see where you might be lacking. Are your vitamins or minerals low? Protein? What about fibre. If you find these are lacking you can use these food lists to fill nutritional gaps while keeping in mind your ability to process carbohydrates and attaining your personal goals. The omega 6 fatty acids are also classed as essential however it is generally recognised that we have more omega omega 6 than omega 3. In the U.S. brain tissue is not available (to my knowledge) in markets because of prion issues–this gives the farmers a loophole to continue including it in feed. As a result, livestock is brought to market before the 2 yrs. that it takes for evidence of prion diseases to start showing up in the herd. Farmers have to cut many a corner to get their young livestock up to market weight in such short time…or they could just stop using brain matter and ground-up bones to feed the animals in the first place–but them bringing a 100% grass-fed animal to market takes about 3-4 years…too expensive for many farmers, even though grass is free much of the year. Any animal that does not fit the USDA profile of safe and marketable gets their meat fed to pigs, while the ground-up bones and brains get fed back to the rest of the herd REGARDLESS OF PRION STATUS (got to give them their Omega-3 and calcium cheaply SOMEHOW, right? This is another great post. I love your blog and admire your dedication to back up your posts with scientific information, you are so professional. I do have a question about BS, reason I started on LCHF was mild IR. I would like to say it is gone now, however something odd to me is happening in this new stage, my BS has kind of became steady at 95-100 all day long mostly. No matter what it always tend to 100. Almost never go below that even after 6-12h of no eating. Is that a good sign? Is my body “really good” at maintaning BS homeostasys? Or am I still IR? Thanks Monica! No harm in taking some additional supps if you feel you are lacking based on your symptoms. There are some things like Vatmin E, Panto Acid, Choline and Potassium can be a bit harder to get without supplements. Hard to tell whether your higher blood sugar is OK. You could get your fasting insulin tested to see if it’s high. Occasional longer fasts will likely help to reset your IR – seems to be what some people need to do get optimal results. This is excellent analysis and wish I found it earlier as I am doing a similar analysis albeit on a smaller scale. I am wondering if you can add a weighting around likelihood of being regularly eaten/commonly available. For example eating 200g of sesame seeds is not as likely as eating 200g tin of canned sardines for example or whale blubber is nutrient dense but most are not going to eat it. I like the approach but needs tweaking a bit. I really would like a cheat sheet for all the ‘diets’ in the matrix above. This may be a way of achieving that. What would be the equivalent to Cod in Australia?